Remembering DNA Scientist Rosalind Franklin on Her Birthday, July 25 | What's Hot London? 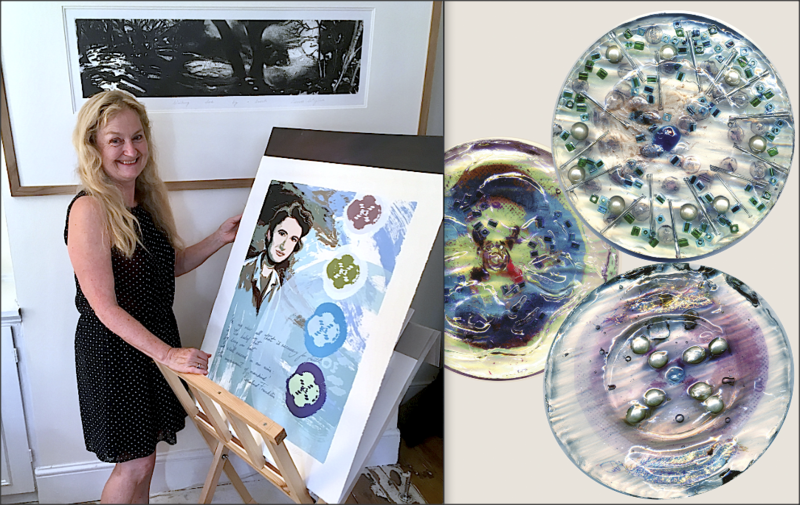 Artist Denise Wyllie captures the DNA discoveries of Rosalind Franklin in powerful mixed media artwork. 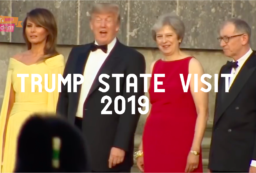 James Watson and Francis Crick are revered in the scientific community for their discoveries on the structure of DNA; however, their work would not have been possible without the pioneering work of British chemist Rosalind Franklin. Born in London in 1920, she studied physical chemistry at Cambridge University before going on to take the first ever clear photos of DNA structure. She was the first scientist to use X-ray diffraction to take photos of crystallized solids in this way. Her work went unrecognised but was used by other scientists to verify their own work on DNA structure. Leading British scientist of the day John Desmond Bernal praised her outstanding achievements and noted her meticulous approach to lab analysis. Also he pointed out: “Her photographs were among the most beautiful X-ray photographs of any substance ever taken.” With her birthdate fast approaching on July 25th, her contributions are captured in the powerful artwork of Denise Wyllie. These include mixed media artworks on board of the X-ray diffraction patterns discovered in these DNA crystals. Franklin’s groundbreaking Photo 51 is presented in paintings, prints, resin models and video. Denise produced the screenprint of Rosalind (in photo below left) while her creative partner Clare O’ Hagan worked with her on a Science Art project with a DNA focus as well as a transatlantic touring exhibition just over a decade ago. The Wyllie O’ Hagan partnership featured individual pieces as well as joint work such as a resin model of Photo 51 made from found objects and a collaborative lino-cut. 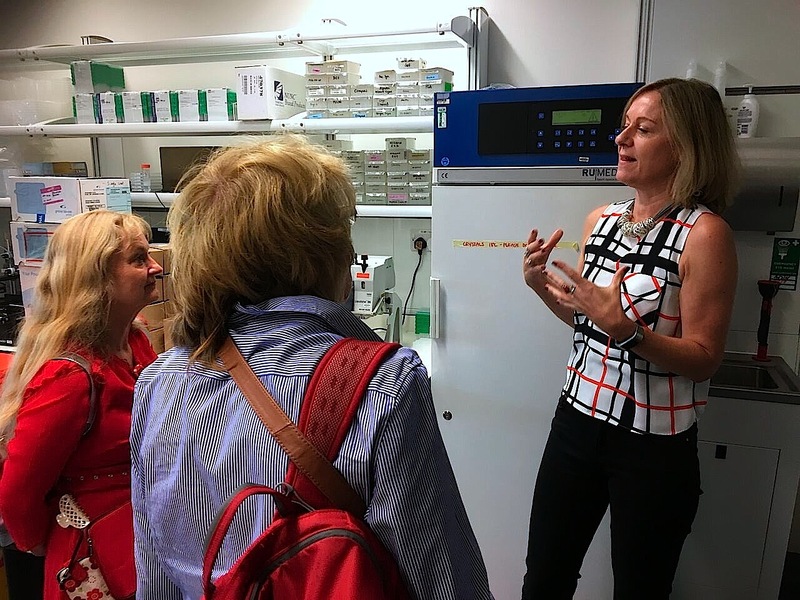 Franklin died young at 37 from ovarian cancer, but Denise Wyllie has, again, ensured her legacy isn’t forgotten by donating a Franklin print to the winner of the Ovarian Cancer National Alliance’s annual Rosalind Franklin Excellence in Research Award. 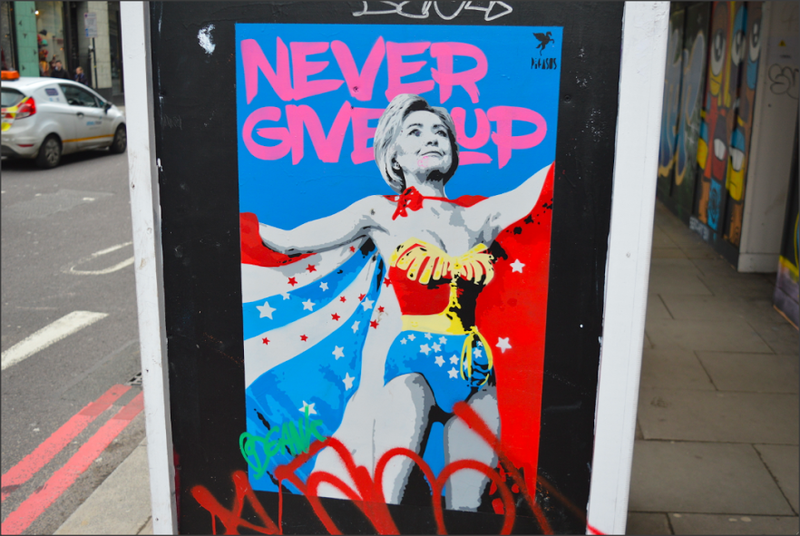 Also in 2007 a full exhibition of her Franklin works toured America to raise awareness of ovarian cancer. 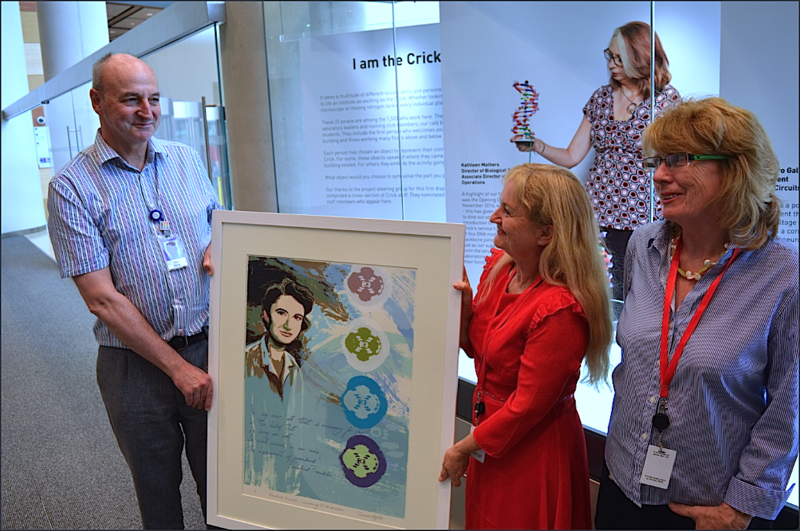 The Crick organisation are also honoured recipients; a private collector passed on one of Denise Wyllie’s prints to the late Professor Francis Crick himself, and on Rosalind Franklin’s birthday on July 25th she presented another print to the Crick Institute. 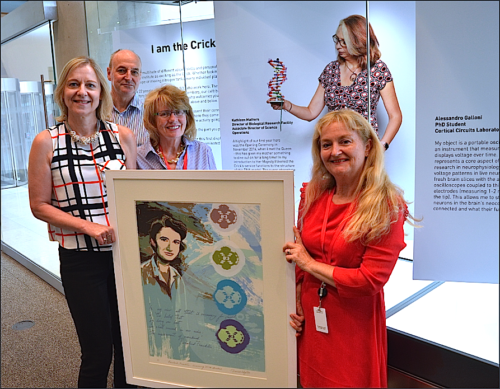 Frank Norman, the Crick’s Head of Library and Information Services accepts the print from artists Denise Wyllie and Clare O’ Hagan. Crick scientist Katrin Rittinger in the lab with the artists. She has written a book about Rosalind Franklin and is also an X-ray crystallographer. British chemist Rosalind Elsie Franklin born 25 July 1920, Notting Hill, London. Died 16 April 1958, Chelsea, London. Great work, a fantastic commemoration of someone so special and important in history. A truly beautiful piece of work from these incredibly talented ladies!